Get ready to be in awe and empty your pocket with the arrival of Sony’s flagship. The Sony Master Series A9F OLED TV and the Sony Master Series Z9F TV claim to be the best ultra-premium OLED TV in the market to date! Let’s see if these TVs live up to the expectation. A masterclass in contrast, the Sony Master Series A9F OLED TV is in a league of its own. The A9F shines with fantastic colour, brightness, and black levels. Its viewing angles are very wide, screen uniformity is close to perfection, and you won’t see any lighting artefacts. 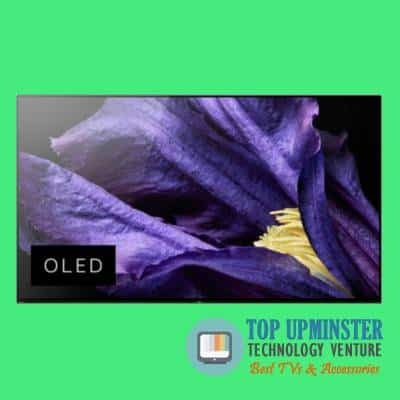 However, the Sony Master Series A9F OLED TV falls short when it comes to its capability to process detailed areas in motion. Regardless, the A9F does not disappoint, delivering good content effect on Dolby Vision, HDR10, or HLG HDR. 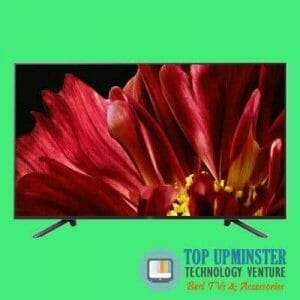 On the other side of the spectrum is the Sony Master Series Z9F TV battling to get the crown for the best ultra-premium LCD/LED TV. Just like its predecessors, the Z9F comes with outstanding black levels and local dimming quality, allowing viewers to enjoy movies like the real thing. The Z9F uses the new Custom Mode that includes the Cinema Pro mode setting, highly recommended for a movie and/or documentary watching. It also handles various viewing angles well, quite evident in its high colour gradient testing marks. The Sony Master Series A9F OLED TV takes sound into multiple dimensions with Acoustic Surface Audio++™ This feature immerses you into a whole new entertainment experience of breathtaking sound, clear vocals and instruments, and exceptional clarity. Meanwhile, the Sony Master Series Z9F TV also proves worthy of your money with IMAX Enhanced content. Go cinematic with the Z9F’s soundbar that brings immersive surround sound. If you’re looking for a smart TV worth its salt, then you’re in for a great deal with the Sony Master Series A9F OLED TV and the Sony Master Series Z9F TV. Both TVs were made even smarter with Alexa and Google Assist features. Ask your Google Assistant to locate your favourite romantic movies, with no remote required! These latest Sony TV series let you have control just by connecting your TV with your smart devices. With Alexa, you can turn your TV on, control volume, change channels, and even do more, hands-free! Now, that’s what smart living is all about! Ready to binge-watch your favourite movies and series? Sony has made streaming even more accessible with its Netflix Calibrated Mode. Both the A9F and Z9F reproduce the same picture quality so you can enjoy your movie marathon with great precision, clarity, detail, and smoothness! The Sony Master Series A9F OLED TV and the Sony Master Series Z9F TV are on a class of their own. If you’re looking for the best ultra-premium OLED TV, then the A9F is your best choice. Meanwhile, if you want the amazing qualities of the best ultra-premium LCD/LED TV, then the Z9F is one that’s hard to beat.